Ally Beard and Christine Ravesi-Weinstein shared a connection as student and teacher over a mutual interest in running and exercise, and a personal understanding of anxiety and depression. 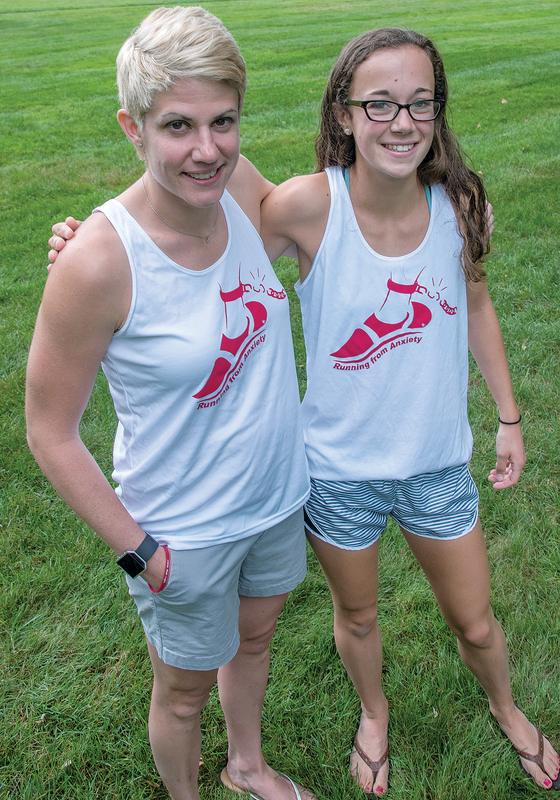 They are now co-founders of Running from Anxiety, an Attleboro-based nonprofit that seeks to raise awareness of the stigma of mental illness and encourage people to engage in regular exercise that can help them feel better. Founded earlier this summer, the nonprofit organizes community running events, with the goal of funding a college scholarship for an Attleboro High School graduate. “We’re trying to encourage people who have never been active before,” said Beard, 18. Ravesi-Weinstein, 37, an AP biology teacher at Attleboro High, said she was diagnosed at age 23 with anxiety and depression. She and Beard connected over her classroom lesson on the brain, when Beard, who also said she’s been diagnosed with depression and anxiety, asked questions about how medications affect brain activity. The women said they want to encourage others to not be afraid to talk openly about mental ­illnesses.